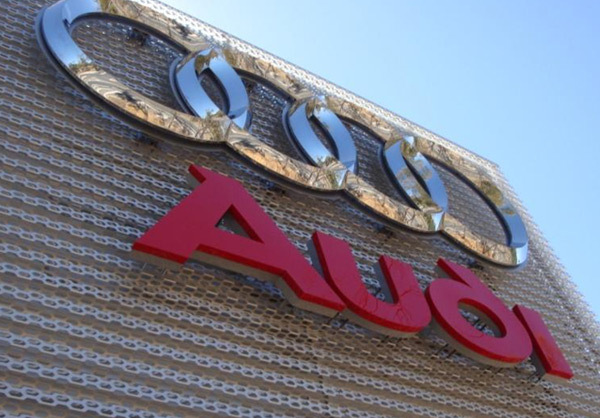 The new Audi Centre Canberra is one of the first state-of-the-art Audi car dealerships built in the world using the German ‘Audi Terminal’ design, currently being rolled out world wide. 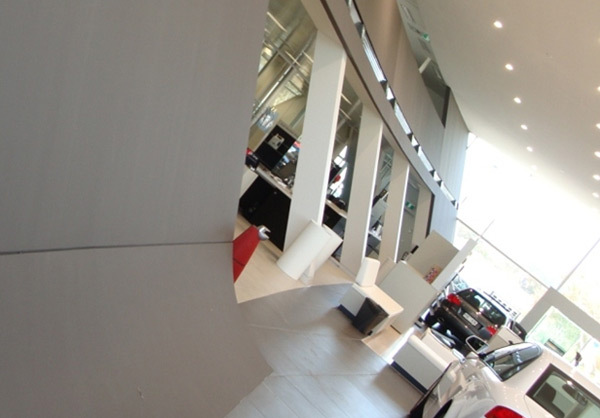 The building comprises of a large showroom and sales offices, vehicle handover bay, a tiled service area, mezzanine level offices and extensive external car parking areas. 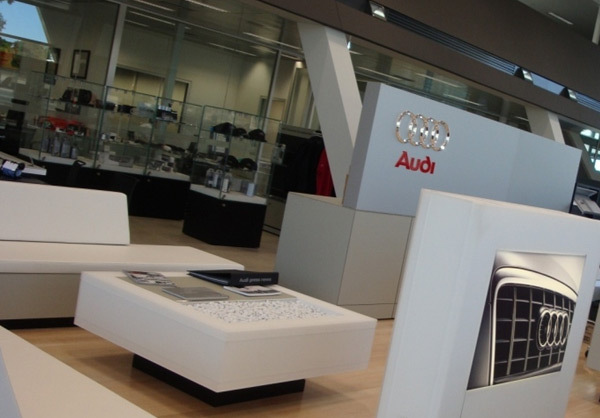 The showroom façade is clad with a unique perforated aluminium panelling system, designed specifically for Audi. The showroom internally is equally striking due to the complex curved, raking and conical shaped plasterboard walls and bulkheads. 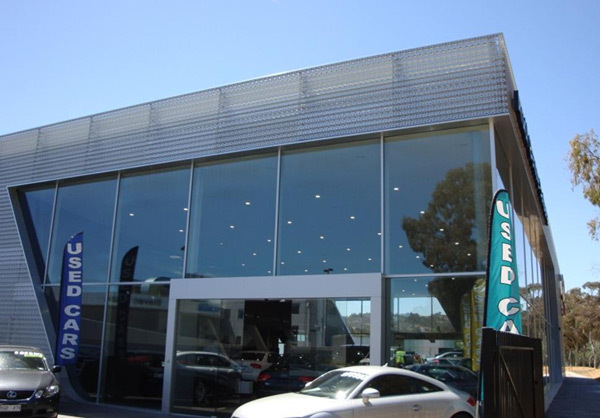 An illuminated suspended ceiling and modern service area in incorporating in-floor car hoists, an exhaust extraction system, concealed in wall oil, air and waste lines make this car dealership stand ahead of the competition. Winner of the 2009 National Master Builders Excellence in Building Awards, in the National Commercial/Industrial Construction Award Under $5m category. Winner of the 2009 ACT Master Builders Excellence in Building Awards, in the Commercial Building $3m – $6m category.